happy easter to you too donna and your card is gorgeous also the image. Love your card Donna! Such a cute image. Happy Easter to you. Easter. I do believe that each day is a blessing,too. A simple and lovely tribute to spring. It sounds like we're at the same point for our plants. 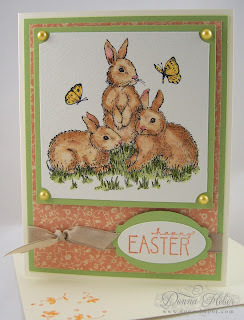 I didn't make any Easter cards as I don't have stamps for it yet. The bunnies are sweet and I hope they, or something similar will be available for next year. The spica pen you used for the butterflies is new to me and I'll have to look into it. This card is one anyone would be lucky to receive and I hope with experience I can create something as awesome. This is lovely, wonderful image and wonderful colors. 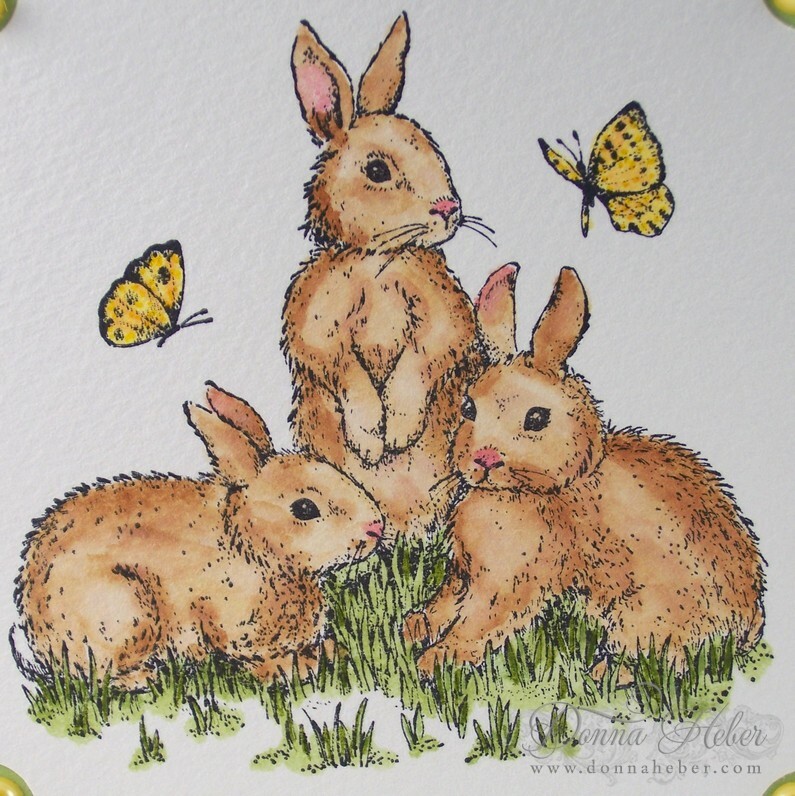 Beautiful coloring and a sweet image perfect for Easter! Have a wonderful day! As an animal lover, I really like this card! Anything with animals always grabs my attention and this beauty is no exception. 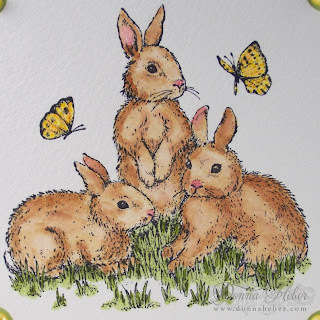 Great job coloring your cute bunnies! Love those little bunnies! Nice coloring! Hope you had a wonderful Easter. 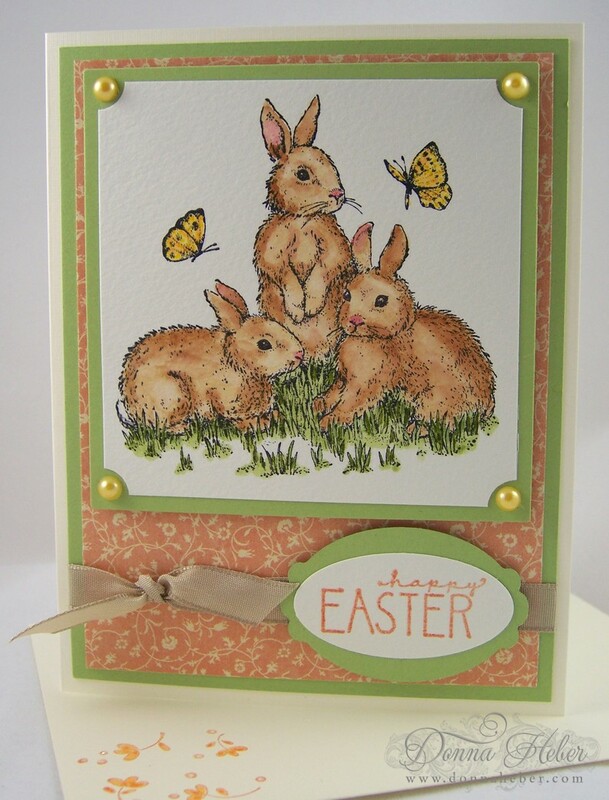 The bunnies on your card are adorable. That's so adorable. Love the bunnies-what a great coloring job you did.